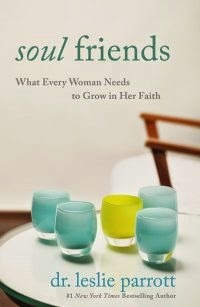 When I first read this book, I decided I wanted to get one for my friends birthday that was coming up- she is my soul friend. 1. Quest: This is a recognition of one’s own adventure and involves finding the treasure of God’s will and, in the process, becoming a treasure for those we know and love. 2. Calling: God’s action plan for the traveler requires humility, for we are ever in the process of being stretched as we depend on God and the sustenance of our soul friends along the way. 3. Crisis: We travel an unknown road and find grace to meet the challenges. Dr. Parrott’s account reads like excerpts from a spiritual journal as she walks beside those who battle cancer, mourn the loss of a child, absorb the news of unexpected pregnancy, or manage the decline of a beloved parent. 4. Communion: The command to love one another is the essence and the destination of our spiritual journey. Travelling with soul friends, the expedition transcends the ordinary, yielding “fruit that remains,” (John 15). This book was provided by Book Look Bloggers program in exchange for my honest review.